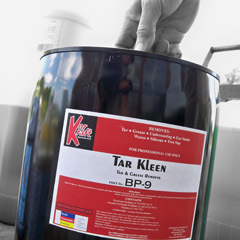 A blend of solvents with a pleasant vanilla fragrance for removal of tar, undercoating, tree sap, etc. Also ideal for overspray cleanup in enginge compartment. Will not remove lettering or decals.